The Most Asked Question: " What Bike Should I Buy My Child?" One of the most asked questions on the Internet, for parents whose kids want to ride a motorcycle, is "What type of bike should I buy for my child?" This is usually followed with information about the age of the rider and gender. I guess the gender comment just helps the audience identify on a personal level with the future rider because, other than that, it's not a consideration in answering the question. The first question you must answer is: Do you intend to ever let your child start racing? 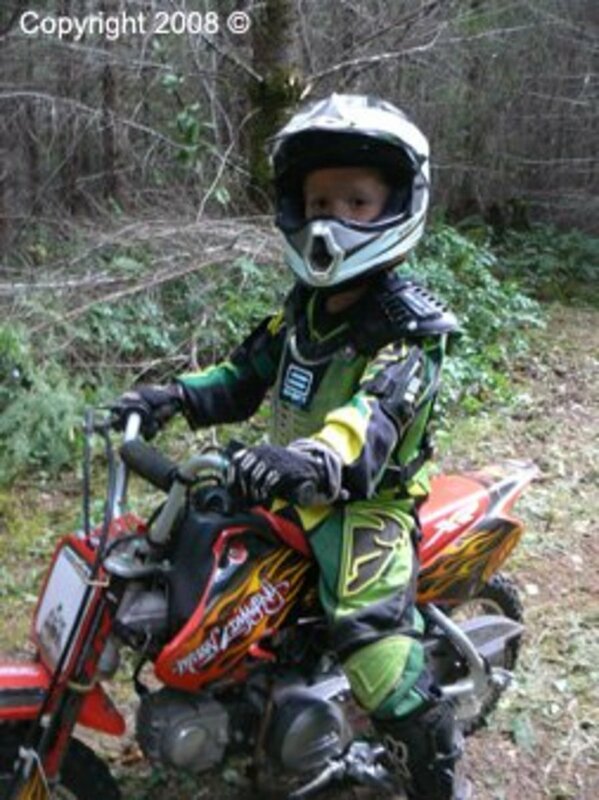 For help on this question, reference "How to get your kid started racing dirt bikes." I have talked with people who were certain they didn't want to let their child race, and then after purchasing the perfect trail riding bike, they decided to let their child race. 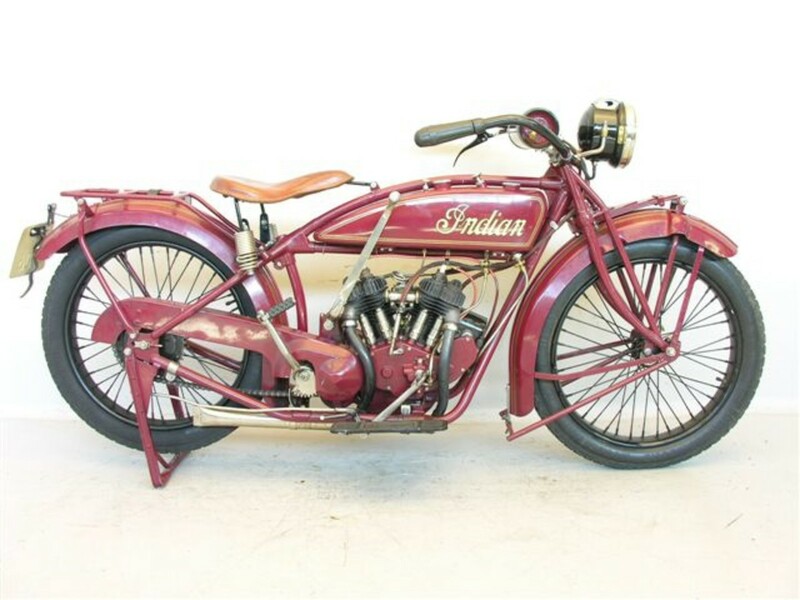 Fortunately, if you bought the bike used, you'll probably recover most if not all of your original investment. The second question is: How old is your rider? Two things a rider has to be able to do to learn to ride are handling the power of the bike, and being able to hold the bike up when it leans over. It's very important though not to underestimate the ability of a young rider to learn. It's real easy to buy a bike that your rider will outgrow in a matter of months. The time it will take your child to learn to ride is dependent on their coordination, and the amount of time they spend riding each week. We will start with a young rider who isn't going to race and work our way through young riders who might want to race, and up to older youth riders who want to race. 3- to 7-Year-Old Riders Racing or Not? Although I pose this question for consideration, at this age and skill level, many of the bikes are still excellent choices if you and your child decide to go have some fun on a track and race. For the really young riders there are two types of bikes, 2-stroke oil-injected and 4-stroke engine models. The oil-injected bikes have a canister that needs to be kept filled with 2-stroke oil. The oil injection system automatically injects the oil into the fuel before it enters the engine, at the proper ratio. The 4-stroke models run on just gasoline without mix oil. It's important to remember that a 2-stroke engine is lubricated internally by the mix-oil that is injected into the fuel just prior to it entering the engine. If the oil canister runs dry the engine will seize up and need re-built. A 4-stroke motor also requires internal lubrication. The 4-stroke uses lubrication oil in the crankcase similar to how a car engine works. Again, the oil in the crankcase should be changed regularly, and have the level checked often to maintain proper lubrication. Even though these are considered beginners dirt bikes, don't be deceived, these are all capable of giving the rider quite the thrill; however, these bikes have a lower seat height then the more advanced 50s and less suspension travel. All of these models can also be found on tracks competing in the younger age or beginner classes. Several of these models have unique features that set them apart. The Yamaha PW 50 uses a shaft drive, eliminating the chain and sprockets. The advantage of this is a reduced hazard for kids getting a hand or pant leg caught in the chain (a quite rare yet plausible accident). The disadvantage is the complexity in changing the gearing of the bike. To lower the gear ratio the ring and pinion gear have to be changed. The Yamaha PW50 has a considerably high top end speed for the wheel size, and beginner riders. The Yamaha has two other features designed to assist the beginning rider by reducing the power of the bike. There is a restrictor placed in the exhaust between the pipe flange, and the head. As the skill of the young rider increases, the restrictor can easily be removed providing more power from the PW's 50cc engine. Additionally, there is a throttle limiting screw located on the throttle control. This makes it simple for a parent to adjust how much throttle the rider has available, hence, limiting the overall speed of the bike. In summary, the restrictor is used to limit the available power, while the throttle limiting screw is used to limit the overall speed. Along with several other bikes available on the market, the Yamaha PW 50 uses a handbrake control for the rear brake. This can make learning easier for some young riders, although most beginners don't have much problem adapting to a standard foot brake. When the rider is ready to move up to a faster bike, they will most likely be transitioning to a foot brake model, as only a few bikes use a hand control for the rear break. The PW 50 is fairly common at racetracks and often is the most prevalent. The PW 50 has been around for many years, and is fairly easy to find on the used market. As with all dirt bikes, if purchased used, the PW will retain their value well. For the smaller beginners, the PW 50 has one of the lowest seat heights and is very light at only 82 pounds. The 4-stroke Yamaha TT-R50E takes quite a step away from its 2-stroke cousin the PW 50. The TT-R50E has a 3 speed automatic transmission that provides a versatile gearing range. Like many beginner models, the TTR-50E uses an automatic clutching system. To shift gears, the rider simply lets off on the throttle and shifts gears using the foot control. The 3 speed transmission allows young riders to learn how to use gears without burning up a clutch or getting frustrated because they spend all day kick starting their bike because of dumping the clutch and killing the engine. Oh, speaking of starting the bike, the TT-R50E has an electric start, just like it's bigger brothers. The bike is started with the simple pushing of a button, rather than kick starting. In contrast to the Yamaha PW 50's shaft drive, the TT-R50E uses a traditional chain and sprocket configuration. Yamaha did install a factory chain guard to prevent brush from getting caught while trail riding, and to protect young riders from getting fingers and pant legs caught up in the chain. The TT-R50E uses an on/off electric heater on the carburetor to insure crisp starting and throttle response. This addition was convenient since the TT-R's have an electrical storage system for the electric starting feature. The PW 50 and the TTR-50E both have the choke lever conveniently located on the top triple clamp near the handlebar mount. This enables young riders to easily control the choke, and helps them remember to shut it off once the bike is warmed up. You don't see many TT-R50E models on the dirt bike tracks yet; however, they are very common out on the trails. Note that along with being a little taller than some other models, the TT-R50E is the heaviest bikes in the group weighing 119 pounds. The Honda CRF and XR 50, similar to the Yamaha TT-R50E are 4-stroke 3 speed trail riding machines. In recent years, the CRF model has replaced the XR models (except for 650cc models) although there are still many XR's around on the used market. That is, if you can pry one away from the rider that had it forever and just doesn't want to see it go (picture Larry the Cable Guy on an XR 50). Similar to the Yamaha TT-R50E the CRF and XR 50 models are both driven with a chain and sprocket. Additionally, they come stock with a chain guard installed to keep brush from getting caught in it while trail raiding, and for rider protection. The CRF and XR 50's have the choke lever located on the carburetor, which makes it less convenient than the TT-R50E. Although young riders can forget to turn the choke off when they start riding, this isn't the type of feature that should drive your purchasing directions one way or the other. On the tracks, a few Honda CRF or XR 50 models are found. Although they don't accelerate as hard as the 2-stroke competition, they are smooth and work great getting through the mud. Additionally, the bike is an extremely reliable machine. When it comes to popular names in bikes, most people remember the companies that have been around since the late 60's; however, anyone that has been around a track in the last 5 years recognizes a cobra when they see one. Cobra was founded in 1993 and markets their product as "Made in the USA". With their headquarters located in Youngstown Ohio, they develop from the heart. The founder of Cobra Motorcycles, Bud Maimone, started the company to provide race ready bikes for the 50cc riders. This was developed out of a passion for supporting the young riders, as his son was racing 50's. Currently in the 50cc class they produce 3 models, the CX50 OI, the CX50 Jr., and the CX50 Sr. models. For a beginner bike, the Cobra CX50 OI is a very strong bike. This is especially a good choice for riders who are a little taller for their age since the Cobra has one of the taller seat heights of the group. Although a taller bike, the CX50 is the lightest bike in the group only weighing 79 pounds. The Cobra CX50 OI is equipped with a chain and sprocket drive system, and like most bikes intended to be raced, it is not equipped with a factory chain guard. This is the only bike in the group that is water-cooled. 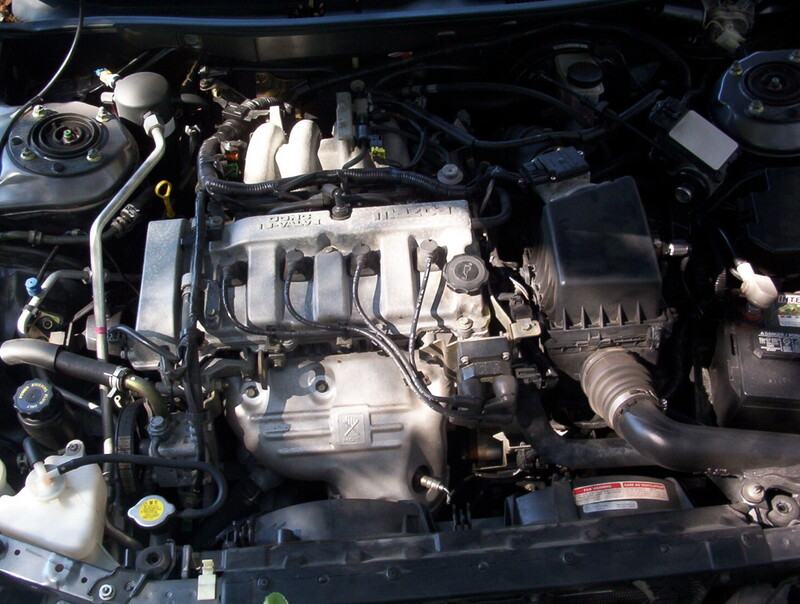 A small radiator located in front of the fuel tank is used to provide cooling for the engine. The Cobra CX50 OI is a bike that is commonly found competing in the oil-injected classes at racetracks. The Suzuki JR50 is a similar bike to the Yamaha PW50. The JR50 has the lowest seat height in the group at only 18.9", about ¼ " lower than the PW. Currently the JR50 is no longer in production, yet they can still be found on the used market.The JR50 uses a chain and sprocket drive like most the other bikes, which allows easy changing of the gearing if needed. The single gear transmission with centrifugal clutching is similar to the PW50, and the CX50 OI, and makes it easy for beginning riders to learn to ride without be concerned with gear choice. Although not as prevalent as the Yamaha PW50 on the tracks, the Suzuki JR50 is a good beginning race bike, and performs comparably. The KTM Mini Adventure is a high quality beginning bike, similar to the Cobra CX50 OI. Both of these bikes have an excellent suspension system. The KTM though is the only bike in this group with an adjustable seat height, 20.9" to 21.7". This is a good feature as it allows the bike to grow a little with the child. The seat height is adjusted by moving the rear shock upper mounting bolt to the alternate hole, and only takes minutes to do. This is a very easy job. To provide a little more height adjustment, the forks can be slid in the upper and lower triple clamps. This requires a little more effort than changing the rear shock mount point. The KTM also uses a chain and sprocket drive system, which allows easy changing of the gearing if needed. The single gear transmission with centrifugal clutching is similar to the PW50, and the CX50 OI, and makes it easy for beginning riders to learn to ride without be concerned with gear choice. The KTM mini adventures are found on just about every track out there. They are an excellent bike and handle very well. 2MV Riding Vest in action. All the bikes discussed in this article are excellent choices for a 3 - 7 year old beginning rider. However, if you even think you might be interested in letting your child race, and they want to race, then I would recommend you visit the local track on race day and see what bikes they are riding out there in the 50cc oil-injected beginners class. Most likely you will find the KTM mini adventure, the Yamaha PW 50, and a Cobra CX50 OI. 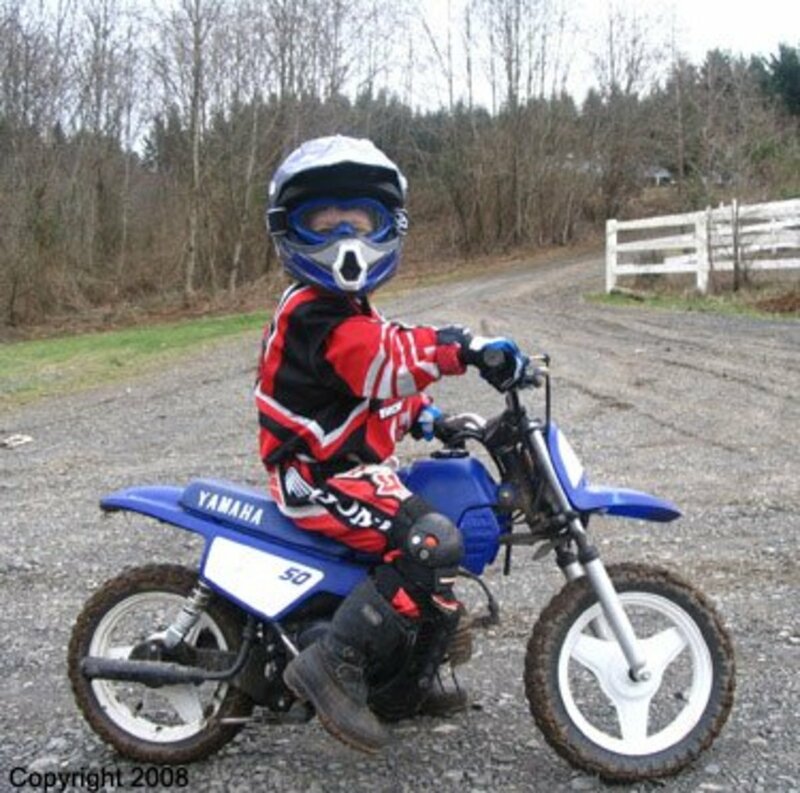 Remember, when your child has learned to ride comfortably and is ready to race, if they are on a PW 50, remove the exhaust restrictor, and open up the throttle limiting screw. If you are only looking for a bike to ride around the house, or on local trails then the Honda CRF or XR 50 is an excellent bike choice. The 4-stroke engines are much quieter and you don't have to worry about the mix-oil. The Honda's are a very reliable bike and the 3-speed transmission can simply be left in 1st or 2nd gear until the rider is ready to learn how to shift gears. The Yamaha TT-R50E is another good choice for trail riding, although it is the heaviest bike in the group. One benefit of the TT-R50E is the electric start where for younger kids, a kick-start can be challenging; however, typically this is with the younger kids who could benefit from a lighter bike and shorter seat height. Neither of which does the TT-R50E provide. Most importantly, fit your kid to the bike, and make sure there is room to grow. Again, this is a great benefit of the KTM with the adjustable seat height. For a child to learn, the parent or other responsible mentor needs to be closely involved. The kids need support and basic instruction. Start them off by pushing them without the engine running, and let them learn to manage the brake. Then have them practice short start stops to get used to the throttle, and again braking. And, remind them that no matter what happens don't forget to "drive the bike". This means that they need to keep their eyes on the trail and steer the bike clear of obstacles and hazards until they can stop. If they forget where the brake is, just let off the throttle and steer until the bike stops. Now, go get them a bike and enjoy the time with them! I would be afraid to buy such a child! all this is dangerous, even if you wear it in a protective suit. I, probably, would allow the child to sit on it at least 10 years. They think, maybe I'm too worried about the child. I advise you to read more about the bikes here https://bikesist.com/best-gravel-bikes-under-1001/... there you can find bikes for children and adults. We bought or grandson his first Honda 50 when he turned 7. It came with training wheels! he had riding experience riding on our property on a small quad. The most important thing is SAFETY equipment that fits. he rode the new bike around our nursery property for a couple hours, then was ready to ride on 2 wheels and the training wheels came off. he dumped it, got up, dusted off and hasnt stopped riding since! i agree with the previous post, electric motorcycles, not electric toys are now becoming the way to introduce you children into motorcycles. we have had our oset 12.5 trials for 3 years. my son has out grown it, but my daughter now rides it. they are supper light, no hot parts to burn themselves on, a if you keep a spare set of batteries they can be ridden almost all day. gotta remember the attention span you are working with. the kids are ready for a break before the bike is. the adjustments are separate with one knob adjusting the top speed and the other knob adjusting the throttle response, they can be tamed down to a toddlers crawl speed or cranked up to jump, do wheelies, and spin doughnuts. you kids will learn faster on a lighter bike that they are not scared of. think about trying to learn yourself on a bike that weighed twice as mush as you do. would be pretty tough! Start your 2 year olds off on a balance bike. When they turn 3 years old get the OSET electric bike. My kids rode the OSET from 3-5 years old. You can change the speed on a dial quickly. Can go from 2 MPH to 20! It teaches balance and control and is very light weight. Don't go with a bike with training wheels!! I rode for 30 years. I started when I was 13. It makes me cringe to think about my 5 year old son riding a motorcycle. It may be better than the continuous pressure to play video games. He is busy in music, martial arts and 4H. There is no time after doing his chores and homework. I have a 2yr old son that loves dirt bikes as well as a 5 yr. old daughter. I was thinking about getting the Apollo 70cc with training wheels for them to share. Would this be too early for my 2yr old to start on and what would you recommend for him. He rides his power wheel so rough I feel like he needs to be moved up. Hello, I have 3 sons now 11, 8 and 6 yrs old. 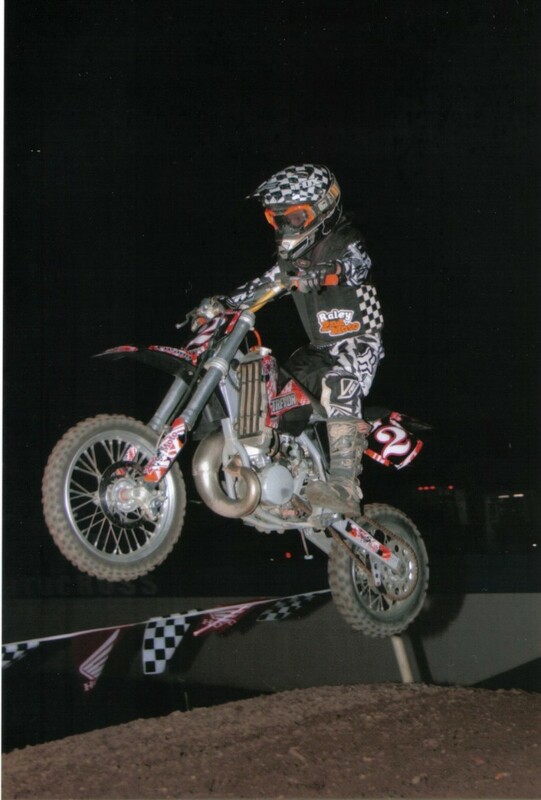 I started them riding at 5 yrs old and from experience of riding every dirt Bike Possible, Honda is the Best. My Sons started on a CRF50, My 6 yr old is riding the 50 now, The 8 yr old is on a CRF70 and my 11 yr old is riding a TTR90. The 8 and 11 yr old are ready for a clutch now. My Bikes are all Mint condition and my Sons can basically put a Bike together now. You could let a Honda sit for a year and go out and it will kick right over. I can't say that about any other Bike I rode, but everyone has their preference. Go with the Honda CRF50. You can't go wrong !!!!!!!! Thanks Zachary. Cobra made an oil injected model which was comparable to a KTM mini adventure (2008 and older), that wasn't quite as powerful as the Cobra King/Sr. This was an option for beginning riders. Now, most the cobra models are all race models; but on the used market the less powerful models can still be found. I must point out that most 2 stokes don't have an oil injector and need the gas and oil mixed be for filling the bike and I would not recommend a cobra as a starter bike, I had a cobra and I can speak from expiriance that it is not a good recreational rider due to it race design it will over heat when not opened up constently. It also has a lot of bottom end pull that may make it hard for new riders to control with no previous riding experience. However for a first race bike it is excellent. It is a ground built racer and probably the fastest 50cc bike stock that you can buy and even though it's only a 50 in the right hands it can keep up and beat 65s and 80s (trust me I've done it). As for a first race bike the cobra is king. 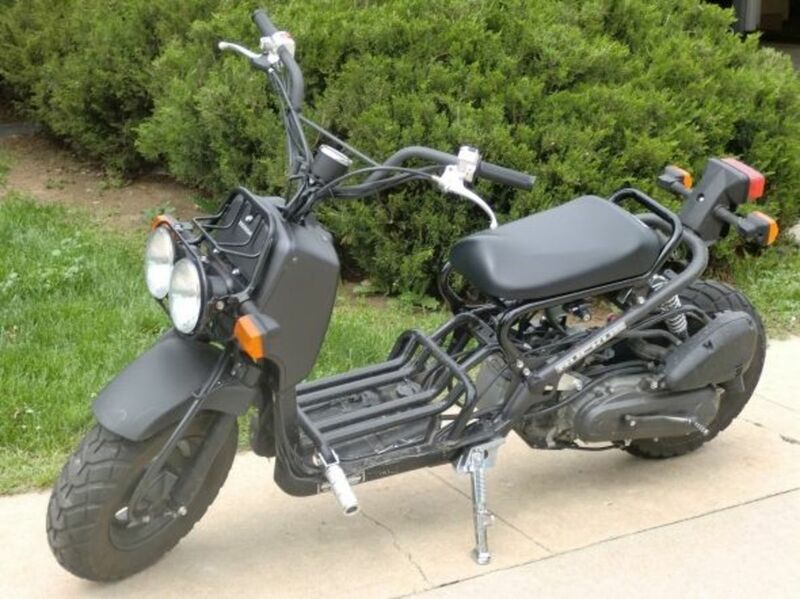 It would probably be a great bike for the application you mentioned. Check that the suspension isn't bent, and that the auto-clutch is in good shape. Let the kids ride it, but plan on learning how to do some maintenance on it, such as a complete clean on the clutch system and oil change. When you can get a reliable brand for that price, and aren't interested in racing your ahead. You know what you want, and are getting a reliable brand. Make sure you have good gear for them to ride in. Largest majority of 50cc riders wear the 2ndMoto LLC 2MV motocross vest ( www.2ndmoto.biz ) for excellent core protection. The 2MV has the best core protection (including rib area) you can find. I hope you have a great time teaching the kids to ride safely. Do you get to ride with them? I have read through all your blog and find a lot of info. What do you think about the kdx 50. I can get one for around $400 bucks in like new condition. I have a 3 year old daughter and a couple nephews that would ride the bike. We would not be racing at least not this bike or anytime soon. Is it a decent bike or would I be better off looking for something else. Hi Ron and thank you for the question. Regardless of the bike you choose, make sure you've done your homework on the proper gear. I highly recommend the 2nd Moto LLC 2MV motocross vest as the core protection is superior to other products, especially in the coverage area. Now, for the bike question. If you don't have a place to ride at home, then his learning curve and comfort level will be a little slower. I would recommend either a Yamaha PW50 or a KTM mini adventure. Notice the KTM mentioned is the mini adventure, a Pro Sr model would be a high power race model. That being said, both the PW and the Mini Adventure are raced in the oil injection or beginner classes and are a lot of fun. They both also have reasonable re-sale value, if you or your son decides it's not for them. The KTM will have much better suspension but may cost a little more. Be prepared also, that all 50's with centrifugal (auto) clutches are higher maintenance, but there is a lot of information out there and people are usually willing to show you or help you get started. As I've stated before, when teaching them to ride start with short skill tests. Go and Stop (repeat, repeat, repeat). Teach them how the bike feels when it skids straight forward. Also, put safe obstacles in front of them and teach them how to swerve. No matter what happens, steer the bike. Some kids get this naturally, others will get the deer in the headlights look and drive straight into an object. Next start doing figure 8's teaching them how to manage the break when they are turning to the inside on the break side of the bike. I wish you luck, and hope you have as much fun as our family has had riding. It's harder with young kids that are too big with a bike that matches their skill level. You can't just move them up to a bigger bike. A good name used bike can often retain most or all of the value. So if he outgrows the bikes size or ability, you can often get your money back out, with a lil patience. You didn't mention if racing is on your mind, or just riding....so I'll assume just riding. For the 3 1/2 y/o I would have him sit on a PW-50, TTR-50 and see how he fits. I would be hesitant to go with anything bigger like a CRF/XR-70. Also for the 3 1/2 y/o I would avoid any of the KTM Sr. or Cobra bikes. The KTM 50 mini-adventure would be ok, but nothing faster. The KTM 50 Pro Sr. Sr-adventure and Pro Jr along with most the Cobra's are too much bike for a beginning 3 1/2 y/o. The 5 y/o can also try the PW and TTR, but may also like the CRF-70. Look for bikes 70cc or smaller, and again watch out for the power of the full race bikes. Depending on his height, you should not need training wheels. Personally, I don't like training wheels. Whenever possible I would not use them. If your rider can touch the ground, they should be okay. Please make sure that you adjust the peak power for your rider though, Use the exhaust restrictor (stock washer, that hasn't been punched out, replacements are cheap if needed) and the throttle limiting screw. It's amazing how fast kids learn (and grow). If he is interested in riding, and doesn't get scared of the bike, he will amaze you. Best of luck and enjoy the time with your kid. Hi Sarah. Fox is the company that has the best boots for PeeWee riders. Look at the Fox Pee Wee Comp 5 available in sizes kids 10 - 13. Here is a link. Happy riding and hope you and your boy have some real good times together riding. If you're looking for any other gear, contact www.2ndmoto.biz as they have great deals and great advice on protective gear. We are just getting into riding and I need help finding what sizes boots to buy for my 4 year old boy. He is in a little boys 12, so not yet in the youth shoe size? I understand the need to squeeze the budget, but let me offer you this. Most the brands that you have mentioned are next to impossible to get replacement parts for, plus have many flaws inherent to their design. The "knockoffs" are typically not designed in the classical sense, but merely built from a dimensioned drawing created by an artist.....You mention Two Brothers Racing. They are a very reputable business, but I wasn't aware that they produced bikes as they are primarily an exhaust manufacturer. In the long run a used name brand is going to be more affordable, and easier on your frustration level when you need a part, even something as simple as a replacement fender. Look on the used market.....maybe you'll find a deal on a honda XR or CRF 70....that would be a great bike to learn on. If your kid is smaller, maybe a yamaha PW50. I have not met anyone that was anything but frustrated with having bought a chinese knockoff. Best of luck to you, and feel free to let me know what you end up with and how it works out. You never mentioned what kind of riding you're interested in doing. For racing, you may want to look at either the newer 125cc 2-strokes, or the 4 strokes from the major brands. At this time in larger 4-stroke bikes, I'm really fond of the Kawasaki. In 2-strokes, one you may want to research is the newer Husqvarna 125cc. For trail riding, check out some of the Yamaha solutions like the WR or TT-R series of bikes, like the 230 or 250 models. Well, it's about the right physical height, but it depends on what type of riding you want to do. For learning (never operated a clutch or 5 or 6 speed transmission, or rode fast 2-strokes), then it's too-much bike. For learning, a Honda XR/CRF 100 or 150F, or the Yamaha TTR-125 are better choices. Make sure you always have the proper riding protection on, anytime that bike is running, and get some help to get started. There is alot more to learning to ride then knowing how to twist the throttle, pull a clutch, and stop a break. You're right. Those are a great choice, especially if a rider is interested in trials riding. Not the best for learning motocross....but they sure look like fun. ok so im 13 years old and my dad is thinking about getting me a suzuki rm80 2 stroke to ride and stuff im 5foot 3inches would that be good for me? If your kid is NOT experienced, do NOT get the KTM 50sx. This is a flatout race bike, I am 210 pponds and when the top end comes on, it is an incredible rush (GOOD for Dads, but it will throw a beginnner off). It is an incredible bike! PW50 is the best first bike a kid could ever have! Thank you for your comments. 7 and 5'4" wow, that is a challenge. You are definitely going to need to see him sit on a bike before making that purchase. You didn't mention if the possibility of racing was on the plate or not either; however, let's come up with some ideas. If not racing, I would look at either a XR/CRF 70 or the 80 four stroke bikes. These bike have much less torque than their 2-stroke cousins. The 70 has several gears but uses a centrifugal style clutch. These are real easy to learn on, as the choice of gear the rider is in won't likely kill the engine, but just reduce or provide more power. This allows the new rider to focus on balance, learning where the controls are located, how to navigate terrain etc. without worrying about clutching to switch gears or during breaking. The 80 is a little larger bike, has more power, and uses a normal clutch requiring the operator to operate it. Depending on the rider, and the parents time to work with them, young riders can learn clutches pretty quickly and at an early age. There are many 7 year old riders out there running race bikes with manual clutches....however, most of them started on bikes that didn't require clutching, and then moved up. I would say it depends on the amount of time your rider will have to practice and have fun. With either choice your beginner should be able to reach the ground, and be able to stand the bike up; although, most important is that they learn to use one leg if they are on the ground to just push the bike off of them. If you decide to go with a clutch bike, there are 3 bikes I would look at, all 4 strokes. Don't forget their basic safety gear, and if you need any suggestion call 2nd Moto for help. They may also have some used gear to help you get started. http://www.2ndmoto.biz send them an email or just call, they are real helpful. Best of luck, have fun, and be safe. Thanks for all the information! You gave a number of suggestions for shorter riders, but I don't know what qualifies that. I'm getting ready to purchase my sons first motorcycle. He is 7 years old and about 54" tall (much taller than his same aged friends). Would a XR/CRF 70 or XR80 be ok? Any other suggestions to consider? Does your five year old ride a pedal bike without training wheels? If so, then you don't need to add them and move backwards. If he still uses training wheels, then work on the pedal bike and getting him off the training wheels. All kids advance at different rates, but at 5, he should be off training wheels on a pedal bike. I bet two days with you and he's pedaling like a champ training wheel free....then put him on the JR50. Your son is going to need some one on one time with you to learn to ride safely anyway, so starting with the pedal bike will be good. Remember to teach your kid to always concentrate on "riding the bike". That means to look ahead, plan, and never drive into anything. He needs to know that he can ride anywhere the bike will make it, if he needs additional time to stop or get his balance back. For example, riding across dad's lawn is a much better choice than leaving handle bar marks down the side of the truck! Best of luck, and I hope you enjoy the time with your child as much as I have the time with mine. My son is turning 5 and we were looking at a used 2004 Jr50. It has training wheels on it but I'm not sure if we should teach him using the training wheels or if never having them to use ad a crutch he will respect the riding methods better? I don't want him to get scared. Here lies my problem? Thank you for this information. I ride and my 3 year old son has been wanting to ride. Now I can go look for a bike for informed. If you really want to get a 3 year old riding, I would suggest a Yamaha PW 50. These are excellent bikes to start with. Make sure to put the exhaust restrictor back in, as they have usually been punched out for riders that are not just beginning anymore. The restrictor is cheap and can be bought from any of the online stores. It goes right in the pipe were it attaches to the head. You can view parts exploded views online at many stores. Also, there is a throttle limiting screw on the twist throttle, to limit the top speed they can go. Make sure they are off training wheels, even though you can get training wheels for the small 50's. Get the lightest weight helmet you can find that fits them properly. Most helmets are just too much weight for their small developing necks. In fact, if the bike speed is limited enough, and they are riding without other riders around, a bicycle helmet may suffice. my little son will be 3 in january and he s absolutely obsessed with bikes.would it be too soon to introduce him to bikes or what kind of bike we should be looking for? I would probably recommend several bikes to look at. These will all give him room to grow, yet not be to wild for him now. First, I would look at a Honda XR or CRF 70. the XR and CRF are effectively the same bike, Honda just stopped making the XR and starting calling it the CRF. the Honda is a great bike, reliable, and they hold their value. I would recommend a 2001 or newer. The Other bike I would recommend would be a Yamaha TTR50E or the TTR110E, depending on your riders size and comfort. The Yamaha TTR's are low to the ground, have electric start, 4-stroke, automatic clutch, and also fairly easy to maintain. Please make sure your rider has protective gear before they get started riding. Here is an article that reviews protective gear and provides insight for buying, https://hubpages.com/hub/Review-Motocross-Protecti . Of equal importance, make sure to spend time with your rider teaching them the basics. Feet on the pegs, not on the ground or dangling. How to brake, and brake hard. Give them an area and have them practice sliding the bike and controlling it. Have them practice figure 8's. And make sure they have fun at all times. I hope this helps. Great article. I will keep this in my records for future clients. Great post! You sure know a lot about these little bikes for the kids. This will clear up many questions people have about which bike to buy for their little one. Good job going into detail with pretty much every name-brand 50cc bike. Just do a search for OEM Yamaha Parts. It is real quick to put it back in there if you think you need it. HI Gdor, sorry for the delay in responding. Well, if you have flat ground for them to ride on, the PW-50 with training wheels is a good option. The Yamaha PW 50 has a restrictor in the exhaust that limits power, and a throttle screw near the twist grip on the handlebar that can be used to limit speed, and acceleration. Later you can easily pull out the exhaust restrictor, and open up the throttle limiting screw. I recommend that you spend a considerable amount of time with your rider teaching them the basics of braking and steering. Re-enforce the concept of "driving" the bike. If you panic or get in trouble, never-ever forget to keep steering the bike to a clear area.......ride the bike. Make sure the rider practices using the brakes with you just pushing them. Make sure they know how to use the stop switch to shut off the bike. Also teach them how to use their legs to push the bike off of them in case it rolls over onto them. I strongly urge you to take the training wheels off their pedal bike and work with them daily until they can ride. I would suspect that at 4 years old, it's mostly psychological and lack of practice. This is normal for many kids this age as it is a transitional age for bike riding, but it's time to invest the time and work with your rider. Make sure they have the basic protective gear. If you are looking for an in-expensive resource send an email to sales@2ndmoto.biz You can also visit their website at http://www.2ndmoto.biz They carry a good selection of consignment motocross gear. Send them an email list of what you are interested in including sizes because they don't always have their complete inventory listed.Best of luck to you and your child, have fun-be safe. My Son is turning 4 next month. He asked me for either a motorcycle or dirtbike for his birthday. He's still rather small for his age (about 40 lbs) and still uses training wheels on his bicycle. I've tried to take them off but he's just not ready. I'm wondering if the 50cc bike with training wheels is too big or if I should just go with another plastic tire bike like the peg perego ducati? The Chinese versions may look tempting by first visual inspection, but they are not engineered like the reputable manufacturers. Most of their designs are done by a modeler taking features of other bikes by visual inspection, and then replicating it in their design. The result is a bike that doesn't handle well or fit a rider like it should. Additionally, the quality of parts, and availability leave much to desire. You'll be much happier riding and maintaining a bike by spending $800 - $1000 on a nice reputable used bike, then $500 - $600 on a chinese knockoff. Hey Looks good..... what do you think of chinese versions....? Thanks Khenson for the post. I'm sorry I didn't get back to you earlier. I would recommend either a KTM SX 50 (Pro Senior, 2004 or newer) or a Cobra CX 50 Senior. Both of these bikes have good suspension systems, and excellent power range. Make sure that you learn how to change the clutch oil about every 3-4 races at the most, depending on how many practices they run in between moto's. For the KTM you can find a reusable clutch cover gasket that will save you a little money over time. Although there is a drain plug on the side of the case, I recommend opening the case and using break cleaner to clean all the clutch debris out. This will significantly maintain the performance and increase the longevity of the clutch. Craigslist is usually an excellent source for used bikes. Good Luck.....remember to have fun, and keep it fun for your young rider also. Make sure to get the proper gear. hello question my sons have been riding since they were 3 years they(twins) are 7 now and want to pursue racing. for 7 year old boys with experience what kind of bike would be the best. Thanks for the post Scott. THow old is your child and is this their first bike? he clutch on the KTM pro senior is intended to be snappy as these are built for racing. there are several things you could try, but it will take trial and error to get it right, so I will give you some general advice on how it works. You will need to have several clutch cover gaskets just in case. In general I would suggest reducing the overall stack height by 0.010&quot; and try it. Here is some additional information. When you open the cover to access the clutch, you can lay the bike on it's side so that you don't loose the oil everytime you are making an adjustment to try. Additionaly, bend the vent tube on the carburetor up so that gas does not drip while the bike is on it's side. Small socket set and wrench set. Steering wheel puller to remove clutch hub, or KTM clutch hub tool. You will need to pick up some longer metric bolts and washers to use with the puller to thread into the hub. extra cuppped washers and shims (clutch uses cupped washers for springs. Shims are typically 0.020&quot; and 0.040&quot;, but it may be nice to have 0.010&quot; around if you can find them). There are 2 properties of clutch adjustment, the RPM the clutch begins to engage, and the rate at which it engages. Both properties are affected by the Height of the clutch stack, and the spring rate which is determined by the direction in which the washers are stacked. Before you change anything, make sure you document how they were stacked when you removed them, and note the thickness of the shims with a caliper. Be careful when you pull the springs out, since sometimes a shim or two will stick in the bottom of the hole in the hub. Stacking the springs like this (()) is a stifer spring than stacking like this (); however it is also taller. In general the taller the stack the higher the engine RPM before engagement. The lower the spring rate (or less stiff) the quicker the clutch will engage. You will have to experiment with different setups (maintain a stack height close to what you have now). In general I remember my stack as looking something like this (())(())(())(())((|||. If you get the adjustment to far off, it will either stall the engine, and not go anywhere, or rev real high and never engage. The KTM is intended to be raced and engage the clutch between 8500 and 9000 RPM. Alternatively, you may try picking up a spring set for a Senior adventure. maybe like a 2003, or 2004. The advneture used a regular coiled spring. I have never tried this, but had been tempted when I was having problems getting the Pro Sr. clutch dialed in. You could also decreasae the tooth count on the rear wheel. this would raise the overal gearing ratio. It would remove some of the lower end power and shift it to the overall speed. 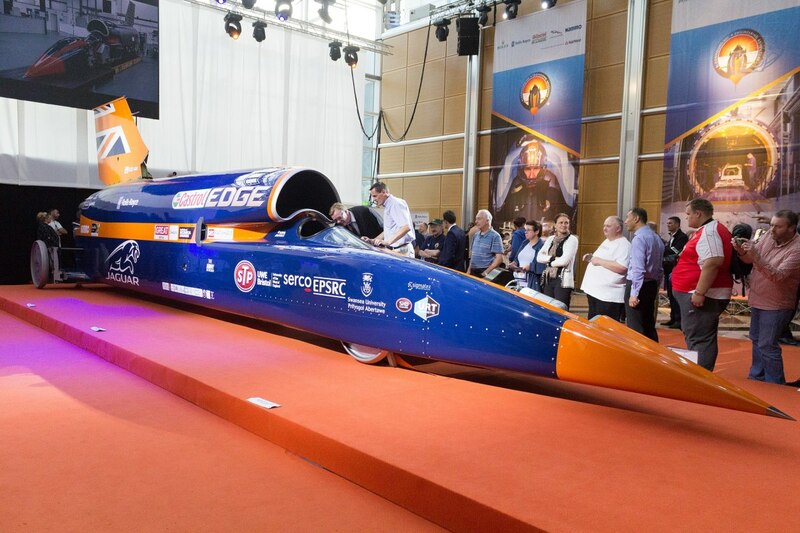 The bike would have a higher top; speed but would loose a little of the snappyness of the bottom end. Good luck and please let me know how it works out for you, or if you have any additional questions. Hi Panamom. Excellent question. There are two questions to answer, how tall is your rider, and is it even a remote consideration for them to race? If a 9 y/o rider is going to race, they would look at either a KTM or Kawasaki 65cc 2-stroke. If they are not going to race, I would consider the height of the rider. A shorter 9 y/o not considering racing could start out on a Honda XR/CRF 70 or XR80. These are both a 4 stroke and do NOT confuse these with the 2-stroke 80's or newer 85's which are way to much bike. The Honda XR/CRF 70's also hold there value real well and are easy to sell again. You need to size up the rider though and see how tall they are on the bike. More on sizing later. To size your child to the bike, have them sit on it. They should be able to reach the ground with their legs anywhere from straight and on their tiptoes, to flat footed with straight legs. If they are flat footed on the ground with their legs quite bent, then the bike is way to small. The nice feature of both the Honda XR/CRF 70 or the Yamaha TTR-90E for a beginning rider, is that they are a semi-automatic. That is a bike with multiple gears that you manually have to change, but uses an automatic clutch.The rider simply lets off the gas, and changes gears. Considering Power. The 2-stroke 65's have a lot of power; but, if the 9 year old is going to race, that's what they are going to need. They also have a clutch to learn. Although, the clutch isn't as hard to learn as most people think for the kids because...it's a dirt bike, just peel out. The XR/CRF 70 and the TTR-90E have nowhere near the power of the 2-stroke 65's. These are really great beginner bikes if you're not going to race. Although, you can take these bikes to a track and run them, they just don't compete very well. Good luck and keep me posted on what you decide to do. I like to hear what choices people are making. Thanks for your articles! I hope that you might be able to comment on a beginning rider who is 9 and has no fear. A 50 seems way too small for his height and learning curve, but is the Yamaha 90 he saw at the bike shop too much bike? How do you determin the correct height, size, weight and power of a bike proportionate to your child? Thanks! Saludos desde Panama! I hope that you find this information helpful in picking out a bike for your child. I truly enjoy seeing the young kids learning the skill and responsibility of riding and maintaining a motorcycle. It's also a great way for parents to spend time with their kids. 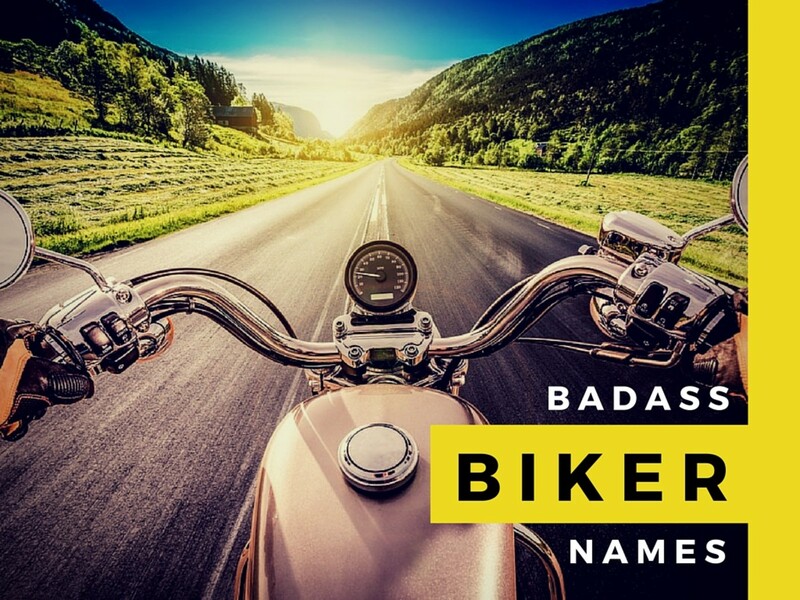 Post a comment here to let me know about your experience deciding on a bike for your rider for any size bike.